Below you will find resources that can help you understand the Affordable Care Act (ACA, also known as Obamacare) and how it improves healthcare for people living with HIV/AIDS. We will update this page as more information is released. If you have a question about the ACA and HIV/AIDS after reviewing these resources, let us know by contacting your NAP Case Manager or emailing us with general questions at ACA@nap.org. We will do our best to help you find an answer! What is the Affordable Care Act? How does the ACA help people living with HIV/AIDS? Will the Ryan White HIV/AIDS Program go away because of the ACA? I live with HIV, how do I access insurance? I already have insurance through my employer. Do I need to do anything differently? I already access care through Medicare and/or Medicaid, do I need to apply for Marketplace Insurance? What if I don’t know if I’m eligible for Medicare or Medicaid? Do I need to enroll in the Marketplace right away on October 1st? How do I know if I am eligible for a tax credit to help pay for ACA Marketplace Insurance? 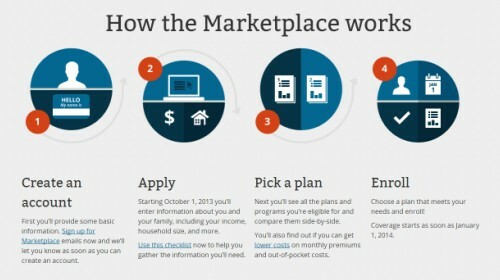 If I’m eligible for ACA Marketplace Insurance, how do I enroll? How do I protect myself from fraud? The Patient Protection and Affordable Care Act (ACA) was developed to achieve better health outcomes in the United States by increasing the number of insured Americans, reducing care costs, and improving the overall American health care system. To achieve that, major changes are under way in both the health insurance marketplace (eg, reforms in insurance laws, expansion of Medicaid eligibility) and the health care delivery system (eg, through investigation of new ways to fund and deliver care). Learn more about the ACA and the Health Insurance Marketplace at HealthCare.gov. There you can sign up for updates and access more information. Nope. The Ryan White Program isn’t going anywhere and it will still be a safety net for people living with HIV/AIDS. In some cases the Ryan White Program will be able to help people access ACA Marketplace Insurance. Ryan White Program & ACA Frequently Asked Questions Check out this resource about the Affordable Care Act and the Ryan White Program. If you have questions about how the ACA and Ryan White Program work together, please contact your NAP Case Manager. There are two ways for you to access insurance: 1) through your employer, or 2) through the ACA Individual Marketplace (also referred to as the Exchange). If you are a NAP client or access ADAP, you may be eligible for additional assistance to help pay for insurance. Contact your case manager, they can help you make sense of the best plans for you and find out if you qualify for assistance! Again, HealthCare.gov is a great resource for all your enrollment needs. I already have insurance through my employer. Do I need to do anything different? Great question! Hopefully not! If you’re happy with your insurance and it is affordable, you don’t need to change anything. However, If you’re employer provided insurance is unaffordable (the cost to you is greater than 9.5% of your household income), you would be eligible to shop for more affordable insurance in the Marketplace. In that case, get chatting with your employer’s Human Resources department for more information. If you’re a NAP client, please let your Case Manager know of any changes in your employment situation so we can help you navigate the situation. I already access care through Medicare and/or Medicaid. Do I need to apply for Marketplace Insurance? Nope. You are good to go. The ACA doesn’t change your Medicare or Medicaid, and youdo not need Marketplace Insurance. What if I don’t know if I am eligible for Medicare or Medicaid? That’s easy. If you are age 65 or older, worked 10 years or more in Medicare covered employment (i.e. paid FICA taxes), and are a U.S. citizen or legal resident – you are eligible for Medicare. Check out this Medicare eligibility tool to find out. If you’re unsure about Medicaid eligibility, no worries, the Marketplace portal (www.healthcare.gov) will screen you for Medicaid eligibility and other public assistance programs. How do I know if I am eligible for a tax credit to help pay for ACAMarketplace Insurance? 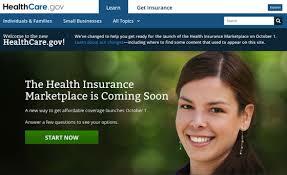 The ACA Marketplaces open on October 1st. Eligible individuals have multiple options for enrollment – check out https://www.healthcare.gov/how-can-i-get-ready-to-enroll-in-the-marketplace/ for a handy guide on how to prepare and how to enroll. If you are a NAP client, make sure to get in touch with your Case Manager in order to prepare for enrollment! Like most topics we work with at NAP, your best protection is being informed! Nebraska chose not to participate in Medicaid Expansion. So, if you live in Nebraska there is no expanded Medicaid eligibility for non-disabled persons living with HIV. This must change. Check out our Advocacy Tools page for more information. Updates on Medicaid Expansion advocacy will be arriving soon! If you live in Iowa, you are in luck. Iowa did expand Medicaid to non-disabled persons living with HIV. Contact your NAP Iowa Case Manager to see if you qualify. Stay tuned for more updates! If you were unable to find an answer to your question on this page or the linked resources, please get in touch with your NAP Case Manager (if you are a client) or you can email ACA@nap.org for general information requests.